The other night I was walking home from my friend's house when I saw a white van driving down the street very slowly. Immediately I thought of the news of a white van being seen at which time a young girl was kidnapped. My heart skipped a beat and I began running down the street to my home. The van sped up as I was running and my heart was beating out of my chest. The fear that I felt was palpable and I just knew I was about to be kidnapped too. I didn't turn and look, instead I pointed my finger in the other direction, and picked up my speed. The van turned around and drove off in that direction and I was finally home safe and sound. Thank you Maria for our photo prompt this week! 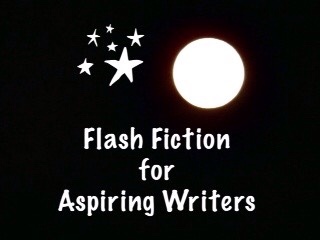 This is my 160 word story for the flash fiction challenge, Flash Fiction for Aspiring Writers. We are given a photo prompt and approximately 75-175 words with which we create our stories. It is fun and everyone is invited to participate. For more information, click HERE. Thank you Lady Lee! I’m glad too! Lol! that sounded a lot like what i did as a kid, safety first, investigate later. Hahaha! I know what you mean. Fear is a powerful emotion. Thank you for reading and commenting! Thank you Lynn! (I think her fears were not founded but she did the best thing by running and staying “safe”). Thank you for reading! Good thing she got away. Even if it was someone else, that fear had a grip on her. Great story. Thank you so much E.F.! You are right, the fear had a good grip on her. Fear is often an imagined state of mind rather than a real threat. Glad she was okay though. My first thought was something like this for the prompt too, but I ended up going a different way. Nice work PJ. Thank you so much Iain! I look forward to reading your story! I love happy endings! Love this PJ! You’re absolutely right, Lynn! Thank you so much for reading and commenting! Phew! Better to run though, just in case. RUN LIKE THE WIND!!!!!!! And do NOT stop!!!! I agree! It’s better to be safe than sorry! LOL! So glad it ended well! Thank you JR! I’m the same way! LOL! Whew! Nice use of misdirection there PJ. You definitely had me thinking the van was going to be her demise >_<. Love the happy ending! Thank you Jade for telling me that because that is the effect that I wanted. Thank you! My heart pounded right along with the girl. LOL! Thank you! I’m happy to hear that because it means I got the fear across! I would do the same thing! Nice turn at the end. Thank you so much, Pamela! I certainly would do the same thing too. LOL! 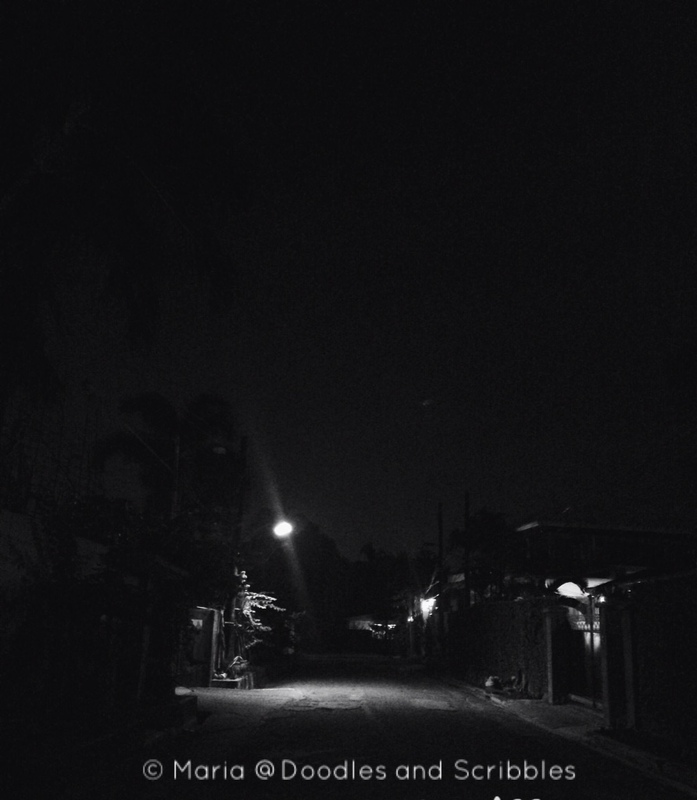 Those are really scary situations aren’t they….good thing your character made it home safe.. Yes, they certainly are. I was in this position once many years ago. Fortunately, nothing got me and I made it home safe and sound. My imagination was making it worse than it really was. LOL! Haha! Darn! That would be a shame! I’m glad I stayed safe too. Thanks Michael! I don’t know but there are usually a lot of stories about them! She was wise to take that kind of action. So many bad things happen that it brings an immediate feeling of non-trust in cases like this. Great story, Joy! Thank you so much Jessie! I agree with you. It’s always better to be safe than sorry. Nicely done with a cute twist. I like the little feeling of tension. Smart girl to point the wrong way, then run the right way! Scary! Phew – that’s alright then!Nice one. Thank you so much Shivangi! That is what I hoped it would do for the reader. Thank you! And you did it…yay! Love your story telling skill! Thank you Shivangi! You are very kind! I was part of a story telling group at one time where people added on to the story as it was passed around from person to person. I have to bow out of joining a group because I have not been doing a lot of blogging lately – mainly just my FFfAW challenge. It is a fun thing to do if you get people that are committed to doing it and it doesn’t get hung up somewhere in the mix. Great PJ… thank you for letting me know the flip side. Yeah… commitment can pose a problem! It sure does. The story can get hung up on one person or another. But if you have committed folks participating, it can be fun. Alright PJ… thanks a ton! Scary, one of those times you don’t know whether she was actually in danger or not. Just happy she was alright. Nice take PJ. Yes! Thank God! Thank you so much for reading! Very tense story — you had me really worried, along with the narrator, about what would happen next! Luckily the person only wanted directions, but it could have been very different. Thank you Joy! True, it could have been very different and it’s good that it wasn’t. It’s a shame we feel unsafe even in our own neighborhoods. Crime creates such fear. Intensity in this one, PJ. Thank you Isadora! That is certainly true! So much crime these days have us in constant fear. Such a suspenseful write, PJ.. so glad it ended well! You’re right. Not a very smart move on the driver of the Van. Thank you so much, Russell! Nice work Joy. You built up some good suspense here, and I’m glad things made out okay. If there’s anything to criticize, its that the story felt a little rushed and fast paced for only a 160 words. 🙂 Besides that, I really liked the use of the word “palpable”. You’re right, it is a little too faced pace. I appreciate your critique! Thank you so much! No prob! I like reading your stories! Thank you so much Roger! I appreciate it! Whew! What a relief – nicely built up the tension. Thank you so much Dahlia! Better safe running away than sorry. Great write. Wow that was scary!! So smart of her to point in the opposite direction, another story that increased by pulse rate!! Phew! Hahaha! Yes, she was scared but I think it was a false alarm. LOL! Thank you so much,Deb!